The New York Giants defeated division rival Philadelphia Eagles 28-23 at MetLife Stadium on Sunday. With the victory, the Giants improved their overall record to 5-3 and their division record to 2-1. The Eagles out-gained the Giants in first downs (21 to 16), total net yards (443 to 302), net yards rushing (96 to 54), and net yards passing (364 to 257). Both teams turned the football over twice. But the Giants blocked a field goal and also stopped the Eagles three times on 4th down, twice within the red zone. The Giants took a quick 14-0 lead in the first quarter after two Eagles turnovers. After the Giants started the game with a three-and-out, Eagles quarterback Carson Wentz’s second pass was intercepted by safety Landon Collins, setting up the Giants at the Eagles 31-yard line. On 2nd-and-5, quarterback Eli Manning hit wide receiver Odell Beckham, Jr. over the middle for a 26-yard catch-and-run touchdown. The Giants got the ball right back again when safety Andrew Adams intercepted an overthrown Wentz pass and returned it to the Eagles 30-yard line. On 3rd-and-10, Manning hit wide receiver Roger Lewis, Jr. for a 30-yard touchdown. The Eagles mounted their first scoring drive on the ensuing possession by driving 59 yards in 10 plays to set up a 34-yard field goal. After two Giants punts and one Eagles drive being stopped on 4th-and-2, the Eagles were able to strike quickly with a 3-play, 70-yard touchdown drive, aided by a 58-yard pass. The Giants now only led 14-10. The Giants responded with a quick strike of their own. A 46-yard pass by Manning to wide receiver Victor Cruz set up the Giants at the Eagles 9-yard line. Two plays later, Manning hit Beckham for a second touchdown and the Giants extended their advantage to 21-10. The Giants and Eagles exchanged punts with the Eagles gaining the advantage after a 66-yard punt return by running back Darren Sproles set the Eagles up at the Giants 15-yard line. But Sproles was stuffed on 4th-and-1 at the Giants 6-yard line. After another New York punt, another Eagles scoring threat was stymied when defensive end Jason Pierre-Paul blocked a 40-yard field goal with just over a minute to play before halftime. At the intermission, the Giants led 21-10. Philadelphia tightened the game against on their first possession of the second half by driving 70 yards in six plays for a touchdown that cut the score to 21-17. New York responded with a 10-play, 75-yard effort that culminated with a 32-yard touchdown from Manning to wide receiver Sterling Shepard. The Giants now led 28-17. The Eagles and Giants exchanged punts before the Eagles mounted a 14-play, 80-yard march that resulted in a 26-yard field goal early in the 4th quarter. Giants 28 – Eagles 20. The Eagles got the ball back after Manning’s pass intended for Beckham was intercepted at the Philadelphia 40-yard line. Both teams then exchanged punts again before the Eagles cut the Giants advantage to 28-23 after an 8-play, 26-yard drive set up a 38-yard field goal with less than four minutes to play. The Giants offense was able to pick up one first down before Manning was intercepted on 3rd-and-4, setting up the Eagles on the Giants 34-yard line with 1:48 to play. A 17-yard pass moved the ball to the Giants 17, but the game ended with four straight Wentz incompletions. Offensively, Manning finished 22-of-36 for 257 yards, four touchdowns, and two interceptions. No receiver had more than 50 yards but Beckham (2), Lewis, and Shepard all had touchdown receptions. The running game struggled with Paul Perkins gaining 32 yards on 11 carries and Rashad Jennings 26 yards on 11 carries. Defensively, Landon Collins led the defense with 12 tackles, 1 sack, 1 tackle for a loss, and 1 interception. Defensive end Olivier Vernon was credited with the team’s other sack. Andrew Adams had the other interception. Inactive for the game were quarterback Ryan Nassib (elbow), safety Darian Thompson (foot), cornerback Leon Hall, defensive end Kerry Wynn (concussion), offensive tackle Will Beatty, wide receiver Tavarres King, and linebacker Deontae Skinner. Left guard Justin Pugh (knee) and wide receiver Victor Cruz (ankle) left the game in the second quarter with injuries. There is no word yet on the severity yet. The Giants five victories have been by a combined 20 points. The Giants broke a 4-game losing streak to the Eagles, and improved to 2-5 in MetLife Stadium vs. Philadelphia. The Giants are 3-1 at home, where they finished 3-5 in each of the previous two seasons. 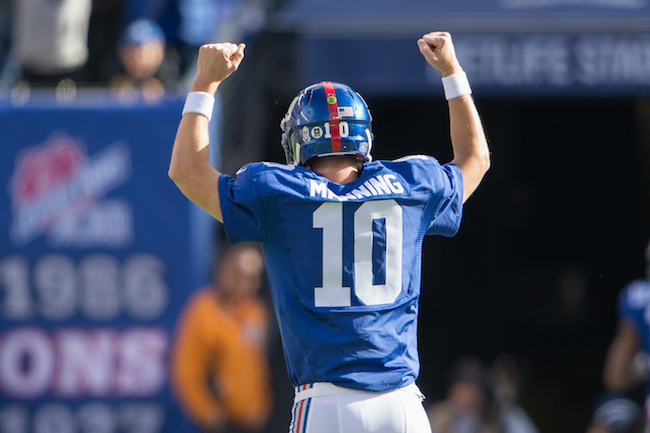 QB Eli Manning’s 257 yards increased his career total to 46,428. That moved him past Vinny Testaverde (46,233) and into ninth place on the NFL’s career list. Safety Darian Thompson (foot) and offensive tackle Marshall Newhouse (calf) practiced on a limited basis on Monday. BigBlueInteractive (BBI) was interviewed by Bob Papa on his ThePapaCast-GiantsCast last week. We discussed the state of the Giants as well as the BBI culture. Former New York Giants offensive lineman John Hicks (1974-1977) has passed away due to complications from diabetes. Hicks was 65 years old. There is no media availability to the Giants on Tuesday. The Giants return to practice on Wednesday. (The Hue Jackson interview has reportedly been moved up to Wednesday now). According to multiple press reports, the New York Giants will interview Cincinnati Bengals Offensive Coordinator Hue Jackson on Wednesday for the team’s vacant head coaching position. 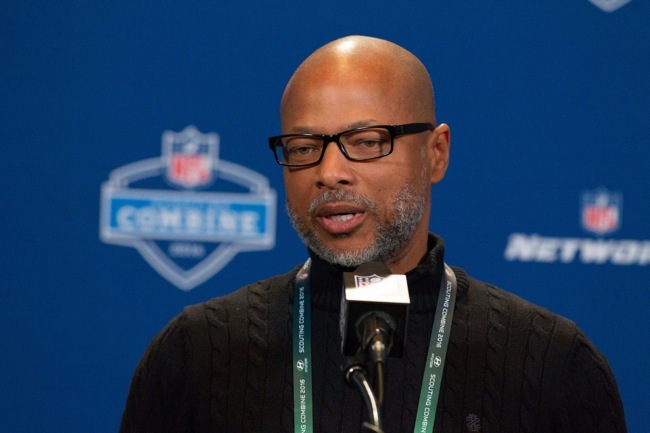 All New York Giants coaching interviews have been jointly conducted by team President/CEO John Mara and Senior Vice President/General Manager Jerry Reese. #Bengals OC Hue Jackson will fly to NY tomorrow for his interview w/ #Giants. They are serious about him or he wouldn't be going. 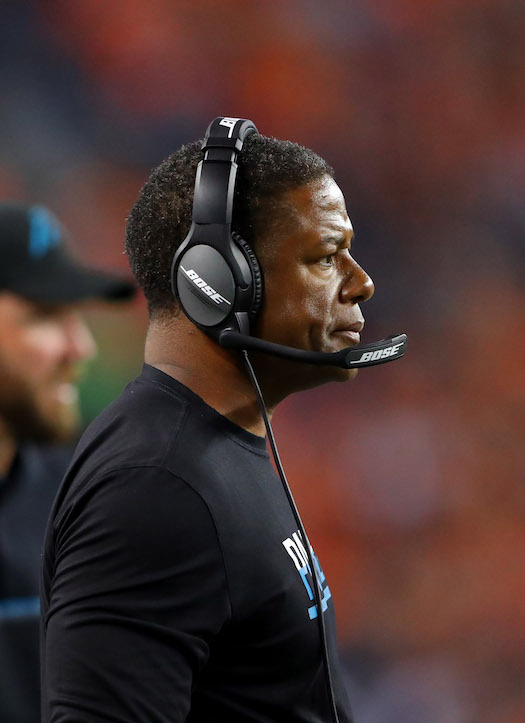 The 50-year old Jackson was interviewed by the San Francisco 49ers and Cleveland Browns on Sunday for their head coaching vacancies. The Browns are said to be very serious contenders for his services but the 49ers interest has apparently waned. 38-year old New York Giants Offensive Coordinator Ben McAdoo, who interviewed on January 5th. McAdoo has also interviewed with the Eagles. 56-year old New York Giants Defensive Coordinator Steve Spagnuolo, who interviewed on January 7th. 50-year old Detroit Lions Defensive Coordinator Teryl Austin, who interviewed on January 7th. Austin has also interviewed with the Browns. 37-year old Chicago Bears Offensive Coordinator Adam Gase, who interviewed on January 8th, but was hired by the Miami Dolphins as their new head coach the following day. 51-year old Jacksonville Jaguars Assistant Head Coach/Offensive Line Coach Doug Marrone, who interviewed on January 9th. Marrone has also interviewed with the Browns. 56-year old former Atlanta Falcons Head Coach Mike Smith, who interviewed on January 11th. FOXSports is reporting that New York Giants Offensive Line Coach Pat Flaherty interviewed with the Minnesota Vikings on Tuesday for their vacant offensive line coach position. The Indianapolis Colts have also expressed interest in Flaherty and he may have interviewed with the Colts last week. Since Flaherty is still under contract with the Giants, teams must receive the Giants permission to interview him. 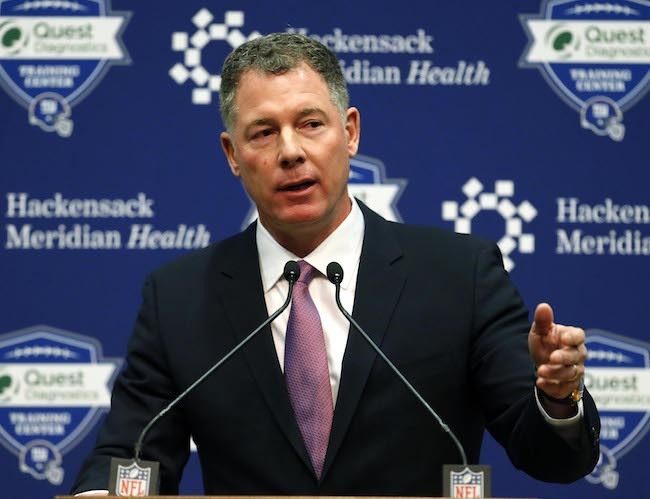 FOXSports is reporting that New York Giants Linebackers Coach Jim Herrmann is interviewing with the Indianapolis Colts for their vacant linebacker coach position. 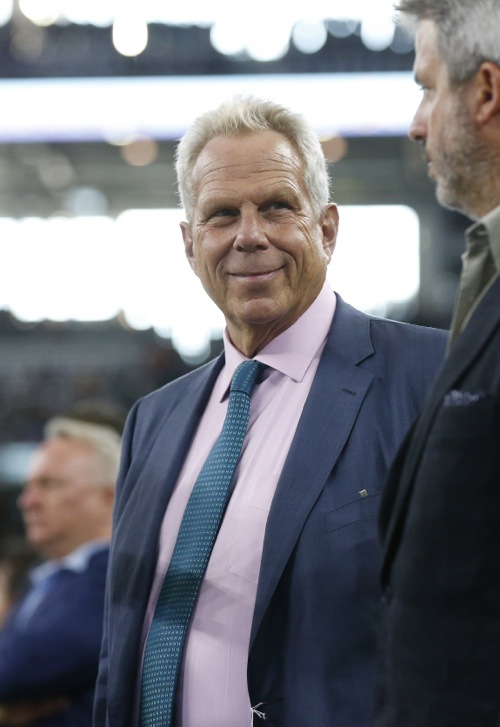 Since Herrmann is still under contract with the Giants, teams must receive the Giants permission to interview him. According to multiple press reports, the San Francisco 49ers interviewed Tom Coughlin on Tuesday for their head coaching vacancy. Coughlin resigned as the Giants head coach last week. He interviewed with the Philadelphia Eagles on Monday. Since Coughlin still has one year on his contract with the Giants, other teams must receive permission from the Giants to interview him.